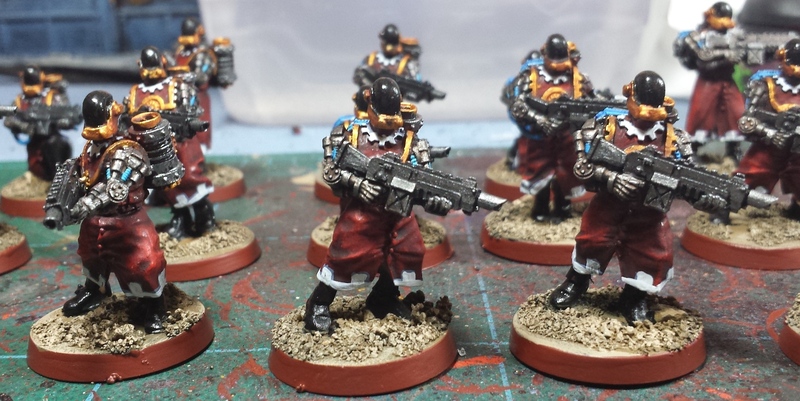 Spent a few more hours over the last couple mornings painting, and finished up the Tech Thralls (more or less). 30 menials sorted out - I'd planned 40, but managed to lose two heads in the build process. Soooooo, 30 it is. Doh! They got some white cog-tooth patterns around the hems and collars of the stormcoats, and the various power cables given a lick of blue. Next up is getting the static grass in place, followed by giving them a spray matte seal and then a brush-on gloss on the helmet domes. 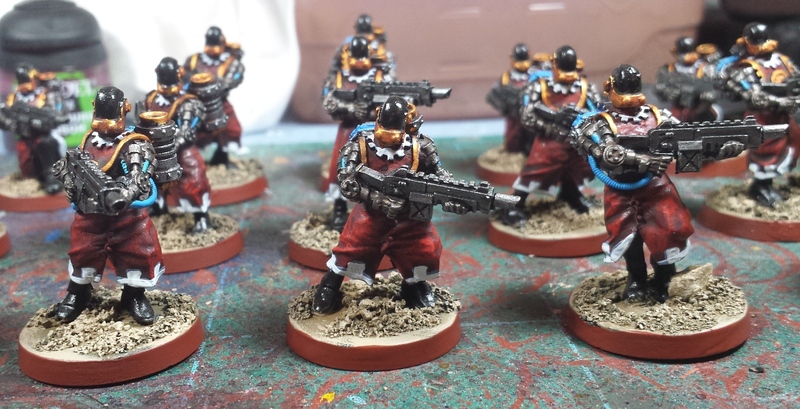 I spent a little time getting the Ursarax started - the basic Thallax bodies were given a shoulder-mounted volkite, and they'll be getting power fists from the Centurion kit (idea shamelessly stolen from a loving homage to Eye of Error's fantastic builds). Pulled everything off the shelves to see how it's all coming together and snapped a quick family photo as well. So far so good! O man, that family pic looks great! Those thralls are fab mate. The army pic looks so wonderful! Great work as always. 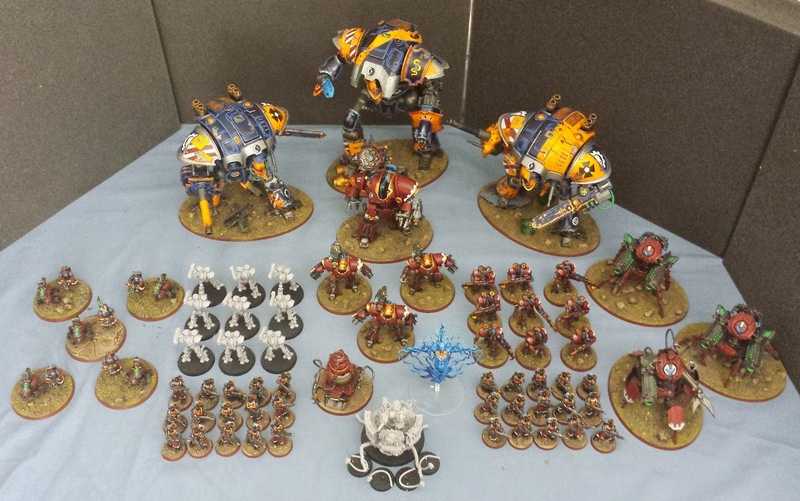 What an awesome build and army. I hope to see this in person someday! @Raymond Tan: Thanks very much! @Dai: I appreciate it! Not planning on selling them any time soon, I still have a lot planned for 'em! @Greg Hess: Thanks man! I'm planning on taking them to the Las Vegas Open coming up in February, should be fun! Oooh that's right! I will see you there! 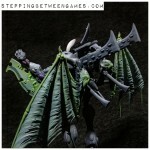 This is going to be one of the best looking 40K armies ever!